Carpentry services are very often needed, either for construction and home improvement or for fine woodworking to produce wood furniture, for example. Whether you are looking for a carpenter who repairs your door frame, a professional counting with the best carpentry tools for small wood projects or someone who takes over all your house joinery, you will find the perfect deals thanks to the best carpenters in Derby (Derbyshire). At Infoisinfo we always work hard to be able to provide you with the most useful information possible so that you can easily find the best products and services for you or your company in Derby (Derbyshire). 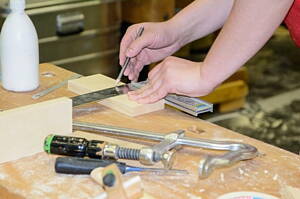 We want you to count on the carpenters that guarantee the best results in Derby (Derbyshire). For this reason, we have prepared a list of the best carpenters in Derby (Derbyshire) for you to choose from. Our company's activities are carpentry and carpenter. Joiners Derby | Local Joiners Derby | Joiner Derby.